Dear Andy and the Jigalots! Thank you so much for making our Barn Dance a great success. 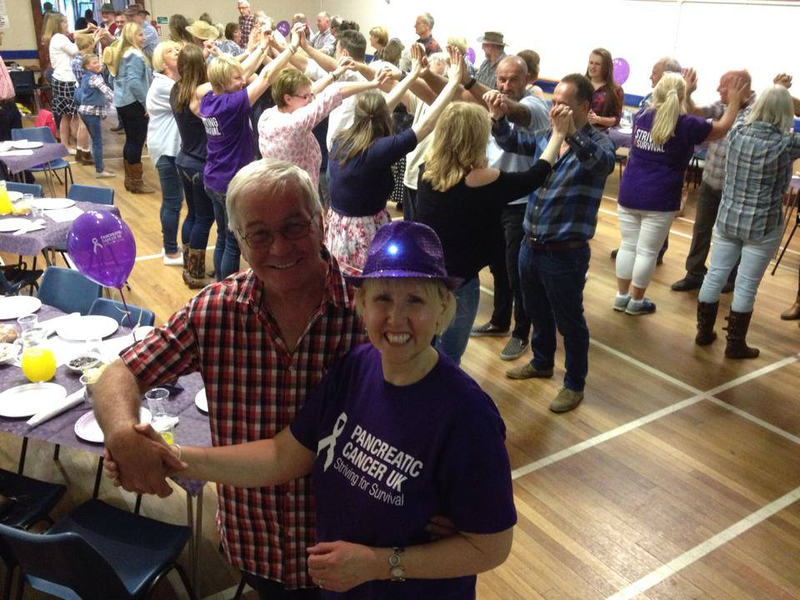 We managed to raise over £1,140 for Pancreatic UK. There were 90 people on the evening with ages that ranged from 8 to 80. Everybody danced and it was great to see everyone enjoying themselves. The feedback from our friends had been great, they all had fun and thoroughly enjoyed the Jigalots! Thanks again for your wonderful contribution to our evening. We found that New Haw Community Centre, Woodham Lane, New Haw KT15 3ND is a great location for a charity barn dance! The hall is a good size, there is a nice wooden floor for dancing on, the stage has plenty of room, and the kitchen is good.